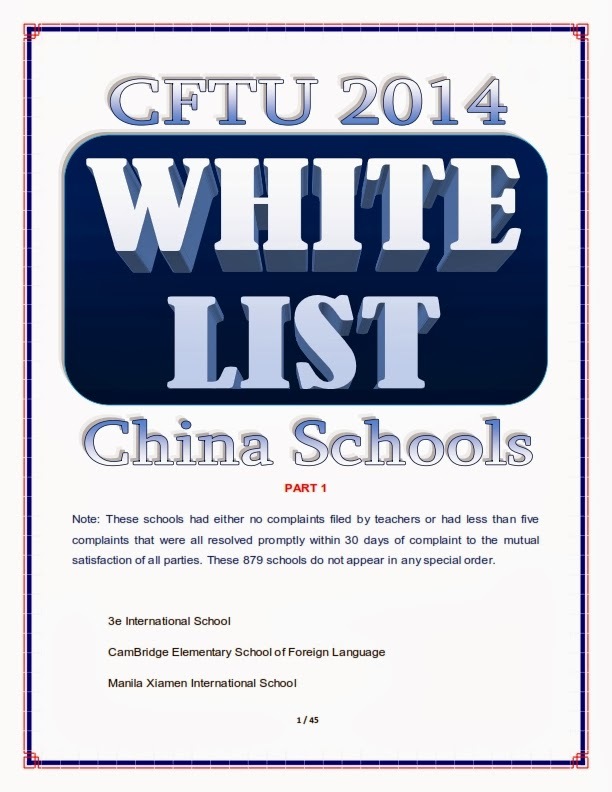 If you want to review the entire list, please send an email request to: WhiteList[at]ChinaForeighnTeachersUnion.org and allow seven working days for a reply if you are not a member, three working days if you are a member. 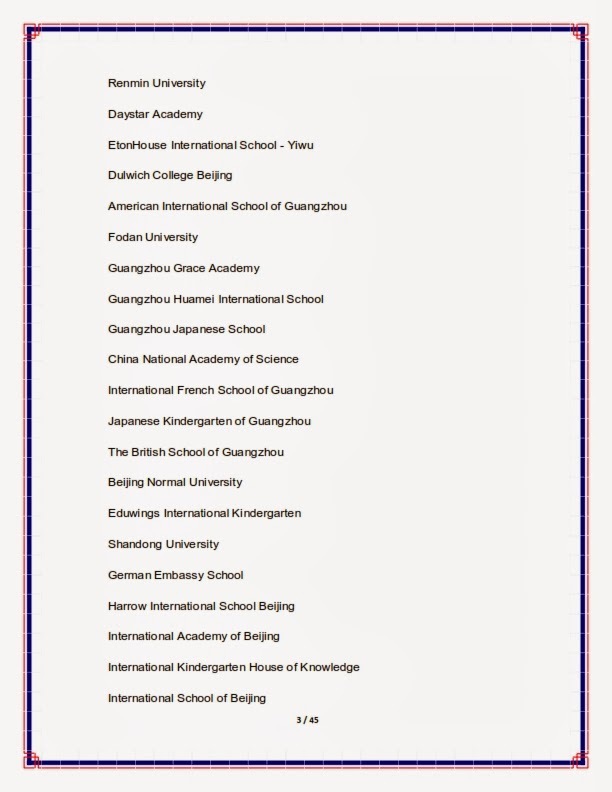 The CFTU is now accepting YOUR nominations for the Top Ten Best Schools To Work For In China. Each teacher may nominate two schools BUT they have to had worked for any school they nominate for at least 6 months. It is so easy for us to always find something wrong with a school (especially in China) but today, if you had to recommend the best school to work for a new arrival, (and assuming they were qualified), what two schools would you recommend? Before you answer, please consider the above nine categories. 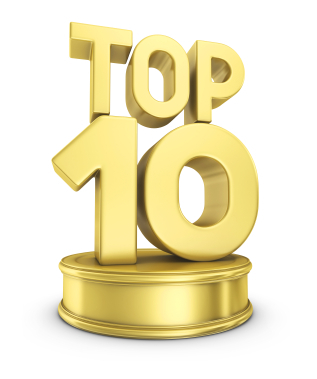 We will accept nominations through May 15th and then our staff will check your nominations against our complaint record (So far, only 129 complaints for 2014) and we will publish the top 10 List on June 1st. 1. Do Not Use Agents that do not complete and return the "Agent Reply Letter"
We also suggest you check the warnings at www.ChinaScamBuster.com and our new consolidated black list at the CFTU web site. UPDATE: First the bad news... Because we do not want to be accused of any favortism, our board of directors voted against ranking the schools on our white list. The good news is that these schools represent the best schools as employers with the fewest complaints by teachers (we have no way to know if the students or parents of these schools have any gripes). 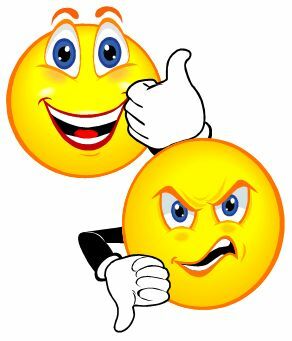 The good news is that thanks to your efforts to send us tips about shady agents and dishonest schools we had 239 less complaints this year than last year. Thanks for your help in making China a safer place to work for all of us! Thank you guys for doing all this work. It cannot possibly be easy to keep tabs on thousands of schools and agents. I understand all of you are volunteers and I would like to know how I can help?